Phew! That was an interesting week. 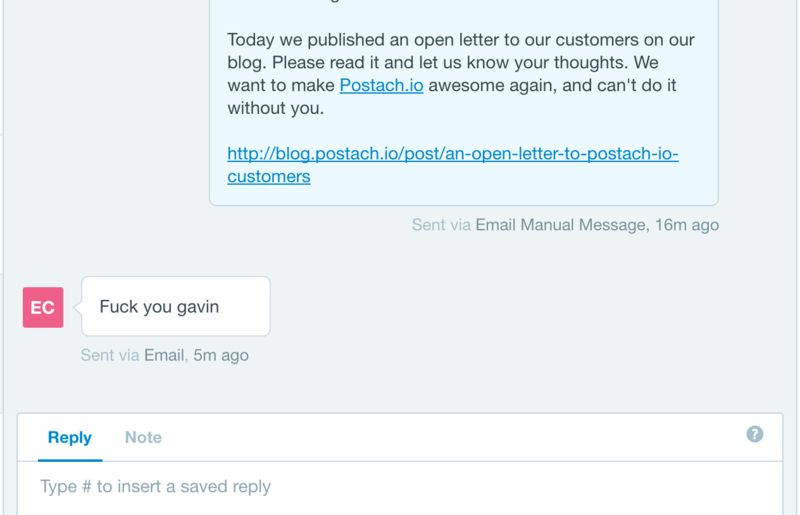 I sent out a public apology to over 80k people that signed up to Postach.io. We failed as a provider and I wanted everyone to know we’re doing something about that. I anticipated an influx of angry emails and tweets (rightly so) but received quite the opposite. Most were relieved and excited that Postach.io was getting back on track. Go read the comments on that post. They’re great! Ok, ok, not ALL of them were great. I was still happy to receive that message however. Why? It was clear the community of Postach.io users care. So you received the email and read the blog post. You might be wondering, “what happened?". In the early days of Postach.io, things were great. We had raised investor money, hired a team and focused purely on product development. 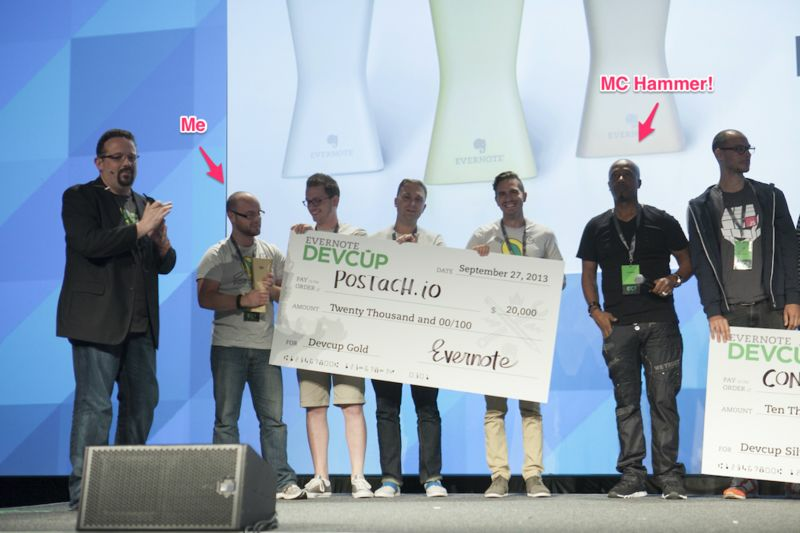 We even ended up winning DevCup Gold at Evernote’s EC3 and working out of the Evernote office for a month. MC Hammer handed me a gold trophy! Good times. Then we lost focus. We started chasing partnerships and integrations to help drive user signups and increase our metrics. All in the name of raising more investment of course. Our product suffered because of it. Features were implemented quickly and poorly and we weren’t listening to what you actually wanted. Eventually everything started to fall apart at the seams. Investors backed out, customers were frustrated and our team exhausted. We got rid of free accounts in an attempt to save the company from going bankrupt. My co-founder Shawn and I had to make the brutal choice of shutting down the office and firing our team. It’s hard to explain that feeling. We stepped back from Postach.io and did consulting work through our company, Input Logic. Fast forward a year and we’re now a team of 8 again. The company and our products generate enough revenue to sustain our team which has allowed us to ramp up development on Postach.io! This time around, we’re committed to staying transparent and listening to our users. Together, we want to make a product we can all love and rely on. Now that you know the gory details of how we got here, lets talk about whats coming down the development pipe. Syncing issues: This is a top priority over the next couple of weeks. For many users, posts randomly stop syncing from Evernote to Postach.io. If your posts don’t show up on your site, what good is a blogging platform after all? When your connection to Evernote does expire (it has to happen eventually) we’ll have more proactive steps in place to help you get reconnected. Formatting issues: Another top priority. Formatting between the different Evernote clients varies quite a bit and is difficult to normalize. However, we’re working hard to fix these issues and would really love your insight and feedback on what does and does not work for you. Leave those in the comments below! As stated in our post last week, we’ll be doing regular updates like this. Stay tuned for new product developments and feature releases.